Howard Schultz said the company would now open its bathrooms to everyone, regardless of whether a purchase has been made, following the arrest of two African American men who had asked to use the bathroom at a downtown Philadelphia coffee shop. Starbucks Chairman Howard Schultz said Thursday that the company would now open its bathrooms to everyone, regardless of whether a purchase has been made, following the arrest of two African-American men who had asked to use the bathroom at a downtown Philadelphia coffee shop. Schultz, speaking at the Atlantic Council in Washington hours before he was slated to receive a business leadership award, said the company is changing its policy after weeks of controversy because it wants everyone — customer or not — to feel welcome at Starbucks. He said Starbucks previously had a “loose policy” that only customers should be allowed to use the bathrooms, but it was up to each store manager’s discretion. Schultz spoke candidly for nearly 20 minutes about the company’s failures over race, from its short-lived ” Race Together” campaign in 2015 to last month’s arrest of two black men waiting for a business associate. In the days following the Philadelphia arrests, a video surfaced of another incident in Torrance, California, posted in January, showing a black man claiming he was denied access to a bathroom while a white man was given the entry code. Neither man was a paying customer. In the weeks since the Philadelphia Starbucks incident, African-Americans have had the police called on them for golfing too slowly , working out at a gym , shopping for prom , napping in a dorm , renting an Airbnb — all because white people felt uncomfortable. Schultz said the anti-bias training will mark the beginning of an “entire transformation” of how Starbucks employees are trained and will be part of a documentary by Stanley Nelson, who made “Freedom Riders,” about the civil rights movement . The curriculum, which is in the process of being developed with the NAACP Legal Defense Fund and others, will be made available for use by other companies, he said. Schultz had flown to Philadelphia to personally apologize to Rashon Nelson and Donte Robinson and said he and his team stayed for days to figure out the best response, including quickly demonstrating contrition on social media and national television. He had been scheduled during that time to appear in Montgomery, Alabama, at the opening of the National Memorial for Peace and Justice as well as give a speech at Morehouse College in Atlanta, but said he’d been advised to cancel because he would not be treated well there. He attended both events. 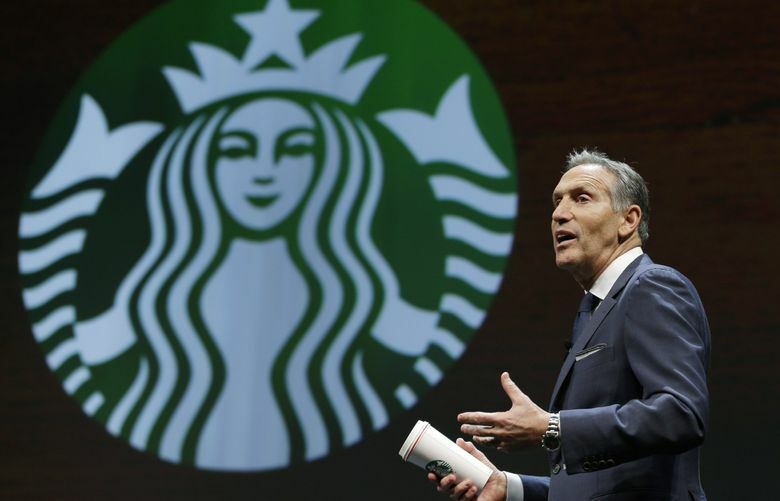 Schultz said Starbucks, as a corporation, has a responsibility to address issues of race in America, given the national divisions over the killings of African-Americans. “We can all remember with horror and shame what we witnessed as Americans in watching Trayvon Martin and Eric Garner and others be murdered,” he said. He said he was inspired by those events and subsequent protests to hold unscripted company-wide meetings around the country for employees to speak openly about “race, racial divide, and unconscious bias” and share their experiences, concerns, personal pain as well as biases without fear of retribution. From those conversations sprung the 2015 campaign in which baristas were instructed to scrawl the words ” Race Together ” on millions of tall-, grande- and venti-size drinks. So he ended the campaign within 24 hours.